Donald Trump defended embattled Alabama Republican Roy Moore, all but endorsing the Senate candidate who has been accused of sexual assault. Trump is taking Moore’s word at it even with at least 8 accusers. One or two could be questionable. But 8? “He denies it. Look, he denies it,” Trump said of Moore. “If you look at all the things that have happened over the last 48 hours. He totally denies it. He says it didn’t happen. And look, you have to look at him also.” Now what he said is confusing. What happened in the past 48 hours? And the last sentence? Isn’t this a bit of favoritism? The Alabama Secretary of State said that on the election day and on the web site, the state plans to hand out how to write in a candidate on the ballot? This is like putting up a poster at the polling booth and say to write in another candidate. The Alabama secretary of state is a Republican, BTW. The former Alabama GOP chairman said polls are useless and probably more Democrats were polled. This after a Fox News [not even a left wing] poll said Democratic candidate Doug Jones has a 12% lead. Wonder what he would of said if it was the other way. Trump has not campaigned for Moore but one of his minions claimed as if it was because of the accusations when this issue came up after he won the Republican primary. As Trump has avoid commenting about Moore, looks more like he isn’t trying to help him. I guess Trump really doesn’t think he needs that Senate seat. White House Press Secretary Sarah Sanders previously said “Like most Americans, the President believes we cannot allow a mere allegation, in this case one from many years ago, to destroy a person’s life. The President also believes that if these allegations are true, Judge Moore will do the right thing and step aside.” First, who is saying he hasn’t done anything more recently? Because it is [say] over 20 years ago that it is past a certain statute of limitations? If so what is the difference between a judge [and Senate candidate] and say a celebrity that has been accused 20+ years ago? Apex Marketing Group said that Ball’s Big Baller Brand has received an estimated $13.2 million in advertisement as Trump and Ball exchanged barbs in recent days. Let’s break the tweet down. Clinton actually had more votes in the 2016 election than Trump and only lost by the way the electoral college is set up. In most countries, Clinton would of won the election. “She just can’t stop”. Stop what? She has been quiet. It is Trump that has been bring up the topic. Finally, Clinton has already stated she does not intend on running in 3 years. It is said that this not related to his key project of slashing the Department’s budget. No one higher than the deputy assistant secretary is allowed to participate. The secretary and his top staff have insisted on approving all travel. Tillerson won’t send someone senior because they don’t want to bolster Ivanka. Speaking to five branches of the military serving overseas via satellite from Mar-a-Lago, Trump highlighted how the US military is “really winning” since he took office. “We know how to win, but we have to let you win. You weren’t winning before. They were letting you play even. We want to let you win,” Trump said, referencing the Obama administration. If you can figure what he said, good luck. Problem is that while ISIS is on the run, it seems to be the Russians who did the brunt of the work. “I still haven’t figured out how people take their boats out into a hurricane.” – I think no one would, except him. “You saved 16,000 lives — nobody knows that — 16,000 lives.” – No one knows what that figure is about or came from. The Coast Guard did say they rescued 11,000 during Hurricane Harvey. “But if you were looking at it as a brand, there’s no brand that went up more than the Coast Guard, with what happened in Texas.” – As if the “brand” is like Nike, Reebok or others. You can’t buy the Coast Guard – hopefully. “I don’t know — I mean, they go out in a boat and they think, I guess, they’re — you know, they’ve got a wonderful boat, they’ve had it for years, it can weather anything.” – You scratching your head? I am. “And it’s nice that you’re working for something that’s really starting to work.” – Another scratcher but I think he’s trying to say, they didn’t work under Obama but will with him. Need a Star Trek type Universal Translator to speak “Trump”. “You know, when we sell to other countries, even if they’re allies — you never know about an ally. An ally can turn.” – That should help in selling American goods. Remember those tax returns Trump didn’t want to be released claiming that he was being audited? Well, now the IRS has securely locked away those tax physical records in a vault. Very few have access. So what is he [or they] hiding? Michael Flynn’s lawyers have told other defense lawyers in the ongoing Russia probe, including President Donald Trump’s legal team, that they’re no longer able to share information. The source added that the decision to cease informal information-sharing could be an indication Flynn is preparing to plead guilty in Special Counsel Robert Mueller’s investigation. Trump said on the campaign trail that he wouldn’t have time to golf [“never see them (his golf courses) again”]. Well, as of November 24th, he has spent roughly a quarter of his first year in office at the golf courses. Trump tweeted “ObamaCare premiums are going up, up, up, just as I have been predicting for two years. ObamaCare is OWNED by the Democrats, and it is a disaster. But do not worry. Even though the Dems want to Obstruct, we will Repeal & Replace right after Tax Cuts!” So he’s not twinning Obamacare and his tax bill now? Trump slammed Arizona Republican Sen. Jeff Flake, calling his political career “toast” after he was caught on mic criticizing Trump and Moore at an event a couple of nights prior. [Why so long in the delay?] Flake was fielding questions about the Republican tax reform plan and a possible 2020 run against Trump when the incident occurred. Trump said “Sen. Jeff Flake(y), who is unelectable in the Great State of Arizona (quit race, anemic polls)” Again, like previous times, Flake is stepping away as Senator, not because of “anemic” pools [how did Trump spell “anemic” right?]. But his polls are as anemic as Trump’s. After photographs surfaced showing Oakland Raiders running back Marshawn Lynch standing during the Mexican national anthem and sitting during the US national anthem at a game against the New England Patriots in Mexico City, Trump called for his suspension and he had to add “Attendance and ratings way down”. Now you know of course attendance and ratings have dropped but Trump is as usual exaggerating. Of course the Raiders’ owner is probably laughing right now since it is unlikely that the NFL Players Association would allow that. Trump criticized a reported proposal that would ask NFL players to remain in the locker room during the playing of the national anthem rather than kneeling. “That’s almost as bad as kneeling! When will the highly paid Commissioner finally get tough and smart? This issue is killing your league!” Until 2009, players weren’t asked to be on the sidelines for the anthem. Trump had said previously he would push Syrian President Bashar Al-Assad out of office a number of times. But it looks like you can add this as another failure as Al-Assad’s military who once controlled just 19% of Syria a couple of months ago, now controls at least 50% of Syria including most of the major Syrian cities. A former director of the US Office of Government Ethics says he filed an official complaint against White House counselor Kellyanne Conway for what he argues was a violation of the Hatch Act after she attacked GOP Alabama Senate hopeful Roy Moore’s opponent on television. “I found the video. She’s standing In front of the White House. It seems pretty clear she was appearing in her official capacity when she advocated against a candidate,” said Walter Shaub. The Washington Post reported the Obama administration’s efforts to punish Russian President Vladimir Putin for trying to sway the presidential election in Trump’s favor. But as a person who has full clearance for the last 6 months, why is this coming out now? Trump didn’t know until now? And I guess Trump finally agrees that Russia did meddle in the US election in November after calling it a hoax and fake news for the last 8 months. Yet still White House counselor Kellyanne The Witch Conway dismissed the idea that Russia influenced the 2016 presidential election. “I think it’s very important to show no nexus has been proven between what Russia or any other foreign government tried to do in the actual election result,” Conway said. “Really the only person making that case prominently is Hillary Clinton.” Didn’t she get the memo [from her boss]? White House social media director Dan Scavino similarly attacked the hosts saying “#DumbAsARockMika and lover #JealousJoe are lost, confused & saddened since @POTUS @realDonaldTrump stopped returning their calls! Unhinged.” What a pair of classy people! After members from both parties are upset at his comments, the White House is blaming the left wing media for who knows what. Then just a day later the two hosts from MSNBC were told that if they apologized to Trump [not the other way around], the Nation Enquirer will release some most likely ridiculous story about them. Blackmail. Trump and the publisher of the National Enquirer, David Pecker, are friends and allies. Melania Trump says when someone goes after her husband, he fights back 10 times. She supports even the latest comment. This also shows he can’t take criticism. Now the health care vote in the Senate has been delayed until after July 4th so they can negotiate with the hold-outs in the Senate to get the bill going. The House version of the bill would have 1 million less people go uninsured. But there are big names who are voting no or leaning to vote no. They include Ted Cruz, Susan Collins and Rand Paul. Several others also are leaning towards voting no. CBO warned that in some rural areas, either no insurer would be willing participate in the individual market or the policies offered would be prohibitively expensive. Rural America was a stronghold for Trump in the 2016 presidential election. Only 16 senators have given full support. Even prostitutes are protesting Trumpcare as they will lose coverage and seniors [which make up a chunk of their clients] may not be able to afford both them and higher health care costs. Trump was celebrating that his travel “ban” was allowed by the Supreme Court – rejoicing that all 9 judges agreed – but he obviously didn’t want to think about that it was only a partial victory. It was the no brainer part – ban those with no US connection from entering the US. But the remaining portion of the travel “ban” will not be decided by the court for a few months. 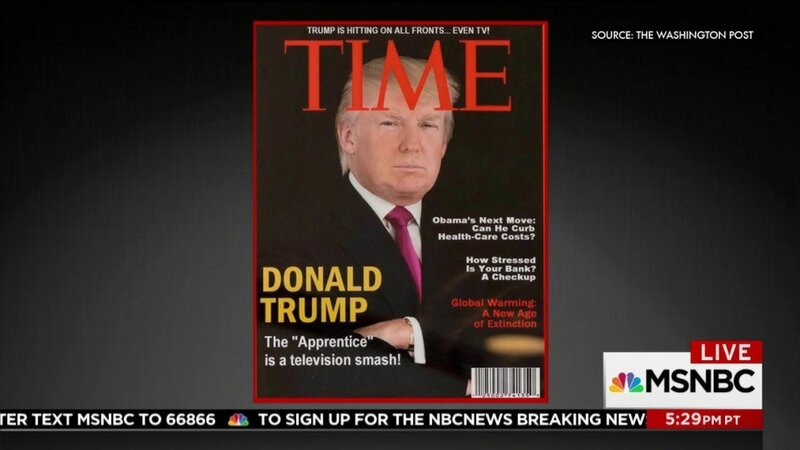 After it was reported, Time magazine asked Trump to remove some fake magazine covers that shows Trump on the cover of a fictitious Time magazine. Being childish as usual, Trump accused former President Obama of stealing his terminology when Obama said last week that there was a fundamental meanness at the core of the Republican health care bill. “Well he actually used my term, ‘mean.’ That was my term,” Trump said. I’m expecting him to copyright the word mean(TM) soon. The Republicans [and in particularly Trump] keep on lashing out at Hillary Clinton almost 8 months after the election. At the same time, anything the Democrats do against Trump and right away the Republicans claim sore losers. So why is it that a year later [when Clinton won the nomination], Trump has nothing to do but whine? Just this week Trump tweeted “Hillary Clinton colluded with the Democratic Party in order to beat Crazy Bernie Sanders. Is she allowed to so collude? Unfair to Bernie!” Wow! Trump is defending Bernie. Not. Trump has nothing else to do but to open up another hornet’s nest? The Trump International Hotel and Tower has been bought by a creditor for $298 million. As part of the change, the Trump brand and management will be dropped. Trump Organization did not own the place. Since it went up in 2012, there has been a series of issues such as delays in opening, construction issues, and twice glass fell below. The building has also been the target of a lawsuit from individual investors of units who allege they were misled by Trump and the building’s developer. Investors said they were led to believe the residential units, which were to be rented out as part of the hotel, would generate returns ranging from 7.74 per cent to 20.9 per cent, but instead they lost money. A court ruled in favour of the investors last year. With no specific reason why but Vice President Mike Pence is replacing chief of staff John Pitcock with Nick Ayers. A source close to the Vice President says that the change of hands has been in the works for a while, insisting it not a shakeup, and the timing was to coincide with the congressional recess. Trump has broken with recent precedent by not recognizing June as LGBT Pride Month. He did recognize the month for National Caribbean-American Heritage Month and African-American Music Appreciation Month among others. Ivanka trump did mention LGBT Pride Month at the beginning of the month. New Jersey Governor Chris Christie has been fighting to legalize sports betting and will make its case before the Supreme Court. He hopes that legal sports betting can help the state’s economy, particularly beleaguered Atlantic City casinos. So far, lower courts have ruled against him. Lawyers for the Trump administration had also urged the Supreme Court not to take up Christie’s appeal. Nineteen US Senators have written a letter asking the White House “to direct the Department of Energy (DoE) to conduct a thorough analysis of Russian capabilities with respect to cyberattacks on our energy infrastructure.” Legislators made a similar request in March but received no response. Ivanka Trump must give a deposition in a lawsuit by an Italian shoemaker claiming her fashion label copied its designs, a federal judge has ruled. Aquazurra Italia filed the suit against Ivanka Trump and her company in June 2016. It claims the brand has produced cheaper knockoffs of Aquazurra’s “coveted” and highly publicized shoe designs. Before Donald Trump came into office, Ed Amoroso, the former chief security officer of AT&T, published an open letter recommending that Trump focus on a few simple initiatives in cybersecurity. Despite the fact that the Trump administration adopted some of the recommendations in its executive order on cybersecurity, Amoroso was not impressed with Trump’s approach. After a poll was done from some 30+ countries, only one country was all around happy with Trump in office. Russia. Trump will be thrilled [or not] to know that even with the threats before the elections of left leaning voters and celebrities heading to Canada, very few did. Donald Trump withdraw the United States from the Paris climate accord, confirming a move certain to anger allies that spent years negotiating the landmark agreement to reduce carbon emissions. But there may be “caveats in the language” that Trump uses to announce the withdrawal, leaving open the possibility that the decision isn’t still final. Typical of him. You are either out or in. Prior to his decision this week, he said “I will be announcing my decision on the Paris Accord over the next few days.” Why wait a few days? US would join his Russian buddy, Vladimir Poutine, as the only industrialized economies in rejecting action to combat climate change. Trump has previously called global warming a “hoax”. When Trump said that America would lose jobs, 374,000 related solar jobs are in the US now compared to 164,000 coal jobs [and shrinking]. When Trump said it would cost the government too much, the US gave $3 billion to green climate fund or 1/100 of 0.001% of budget in 2017. When Trump whined that China can increase emissions for 13 years, coal consumption in China is declining and new coal plants on hold. When Trump complained that a decrease of 2/10 of 1 degree C by 2100 is nothing, climate experts says even that small change can affect the world. Many in corporate America have come down against the Trump administration including oil giants ExxonMobil and BP. Tesla CEO Elon Musk and Walt Disney CEO Bob Iger even quit a presidential advisory committee in protest. In addition, you had the heads of Microsoft, Apple, Google and Facebook all against the decision. Very few CEOs were for the decision. Trump even went against most advisors and even his family – especially Ivanka Trump – when he wanted out of the deal. Jared Kushner, a trusted aide to President Donald Trump and husband to Ivanka Trump, chatted with Russia’s ambassador to the US Sergey Kislyak at Trump Tower in December about the proposed channel which was meant to discuss military operations in Syria and other matters. Russian government officials discussed having potentially “derogatory” information about then-presidential candidate Donald Trump and some of his top aides in conversations intercepted by US intelligence during the 2016 election, according to two former intelligence officials and a congressional source. One source described the information as financial in nature and said the discussion centered on whether the Russians had leverage over Trump’s inner circle. Former Director of National Intelligence James Clapper said there has never been a case of election interference more aggressive than that involving Russia and the 2016 presidential election. When asked if he was 100% sure, Clapper responded with “Absolutely”. Congressional investigators are examining whether Attorney General Jeff Sessions had an additional private meeting with Russia’s ambassador during the presidential campaign, according to Republican and Democratic Hill sources and intelligence officials briefed on the investigation. Sessions has previously failed to disclose meetings with Russian officials. During his confirmation hearing on January 10, Sessions testified that he “did not have any communications with the Russians” during the campaign. Comedian Kathy Griffin landed in hot water after she posted a video that showed her holding a likeness of Trump’s severed head. She has apologized but she lost a job at CNN, an engagement in New Mexico and a commercial endorsement. On his Twitter account [of course], Trump says, “My children, especially my 11-year-old son, Barron, are having a hard time with this. Sick!” Knowing Trump’s “history” of comments and exaggerations, I’m wondering if Barron ever saw the video – or who in their right mind would allow him to see the video. Russian President Vladimir Putin seemed to suggest that Russian “patriotic hackers” may have meddled in the US election, but insisted that none of their potential activities were state-backed. It’s the first time the Russian leader has conceded that any election-related hacking attacks may have emanated from his country. The Trump administration Thursday night asked the Supreme Court to allow the President’s travel ban that blocks entry from six Muslim-majority countries to go into effect. This is the administration’s third try in getting the ban to be enforced. Trump has been handing out his cellphone number to world leaders and urging them to call him directly, an unusual invitation that breaks diplomatic protocol and is raising concerns about the security and secrecy of the U.S. commander in chief’s communications. Canadian Prime Minister Justin Trudeau has taken advantage of the offer so far. Another election promise by Trump went out the window. His promise to move the US embassy from Tel Aviv to Jerusalem has been put on hold by signing a waiver. Signing the waiver this week forestalls any move for another six months. Every US president has signed such a waiver twice a year after a law was passed in 1995 mandating the relocation of the embassy to Jerusalem. “We made extraordinary gains” said Trump after his trip concluded. Funny. Except for those deals at the beginning of his trip in Saudi Arabia, there wasn’t anything really announced. Trump tweeted “Russian officials must be laughing at the U.S. & how a lame excuse for why the Dems lost the election has taken over the Fake News.” More like they are laughing at him because his team could easily be manipulated. Seems Trump continue to make no friends with US allies claiming “we have a MASSIVE trade deficit with Germany, plus they pay FAR LESS than they should on NATO & military”. Germany is third highest at $65 billion, barely ahead of Mexico and behind Japan [$69 billion] and way behind China [$347 billion]. China accounts for about 70% of the US trade deficit. There goes another 300 jobs – this time at a Michigan plant owned by GM. Workers such as these though more jobs would be created under Trump. So they voted for him. Instead they are losing their jobs. Since last November, GM has eliminated a total of about 5,000 jobs. The arrest and disappearance of three labour activists investigating a Chinese company that produces Ivanka Trump-branded shoes in China prompted a call for her brand to cease working with the supplier. The men were working with a U.S. non-profit to publish a report next month alleging low pay, excessive overtime and possible misuse of student labour. The Chinese company claims less than 0.1% of shoes made at the company is for the Ivanka Trump-brand merchandise. While most sent out tweets like Ivanka Trump said [“Today we honor the men & women in our armed forces who have lost their lives to protect our freedom.”] But someone in charge of her Twitter brand account tweeted “Make champagne popsicles this #MemorialDay” followed by a link to her brand web site. Not surprising, some were not amused. The Trump International Hotel in Washington hosted a conference for a business group that aims to improve relations between the US and Turkey. But of course it raises ethics concerns. In 2008, Donald Trump Jr. said at a forum on real estate markets that Trump’s businesses “see a lot of money pouring in from Russia.” Earlier this year, journalist James Dodson claimed that in 2014, Eric Trump told him that that the golf business did not need American investment because “we have all the funding we need out of Russia.” Eric Trump has vigorously denied he made the remark. Seen and heard on a recent Law and Order: Special Victims Unit episode: “Supporting that crazy thug down in DC.” Who can that be?